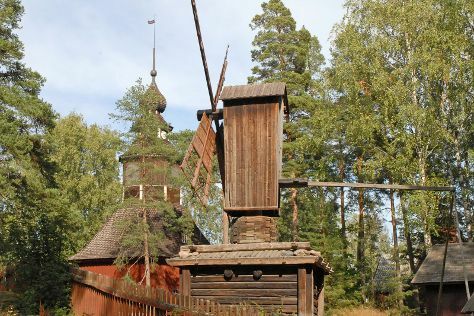 You'll explore and learn at Seurasaari Island and Open-Air Museum and Okra. Get in touch with nature at Bellevue Beach and Hiidenvuori. Change things up with these side-trips from Helsinki: Raseborg (Hagen - Ramsholmen - Hogholmen & Raseborg Castle), Nuuksio National Park (in Espoo) and Teijo national park (in Pernio). There's still lots to do: browse the eclectic array of goods at Hakaniemi Market, take in the exciting artwork at ARTag Gallery, explore the world behind art at Jarvenpaan Taidemuseo, and shop like a local with Galerie Anhava. To see ratings, more things to do, maps, and other tourist information, refer to the Helsinki trip builder app . If you are flying in from South Korea, the closest major airport is Helsinki Vantaa Airport. In November, daytime highs in Helsinki are 5°C, while nighttime lows are 0°C. Cap off your sightseeing on the 16th (Sat) early enough to travel back home.